The history of map-making is full of educated guesses. As late as the 19th century Africa and Australia contained vast, unexplored interiors. Cartographers often used experience and logic to infer the lay of the land. Unsurprisingly, they were frequently wrong. Since antiquity, for example, the Nile had been known to be a river of enormous length, and because rivers often emanated from mountains it was thought there must be a large mountain range at its source. The Mountains of the Moon appeared on maps of Africa up until the 1800s, when explorers finally confirmed there was no such thing. In his new book, “The Phantom Atlas”, Edward Brooke-Hitching gathers a rich selection of these mistakes. They range from honest errors to the mythical or mendacious. One map from 1766 shows Patagonia, and includes pictures of heavily bearded giants walking around with bows and arrows. Another of Java la Grande, a landmass in the southern hemisphere first reported by Marco Polo, depicts the locals riding on horseback and harvesting coconuts while fantastical sea creatures swim offshore. 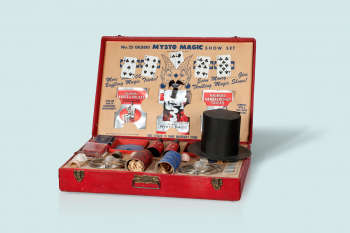 The book shows how lively minds made use of limited knowledge, but also how rumour, guesswork and downright lies can persist in the scholarly imagination. In his introduction, Brooke-Hitching writes about a crew of cartographers who scoured the Gulf of Mexico for an island which first appeared on a map in the early 16th century, and had been included on navigational charts ever since. 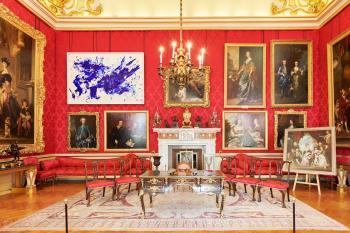 Their unsuccessful expedition didn’t take place until June 2009. 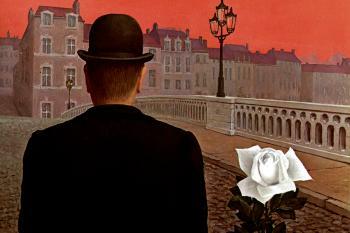 But as Brooke-Hitching says, like all the places in this book it was, for a time, real: it existed on the printed page. Why do compasses point north? Since they are attracted to magnets, there must be an enormous magnet at the North Pole. 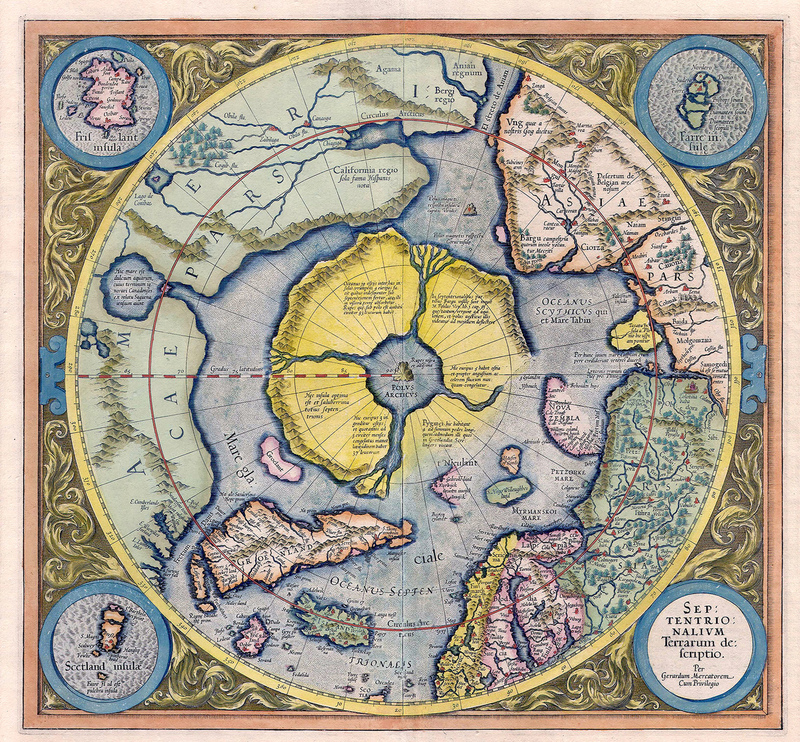 That was the reasoning behind this map, which shows the Arctic with a magnetic mountain at its centre. Gerardus Mercator, a Flemish cartographer who was also responsible for the standard projection still shown on maps today, combined this logic with details from a lost medieval text called “Inventio Fortunata”. It described the North Pole as the confluence of the world’s seas, which flow ceaselessly towards an abyss. The Rupes Nigra, a “black and glistening” rock 33 miles in circumference and as “high as the clouds”, is surrounded by an inland sea. 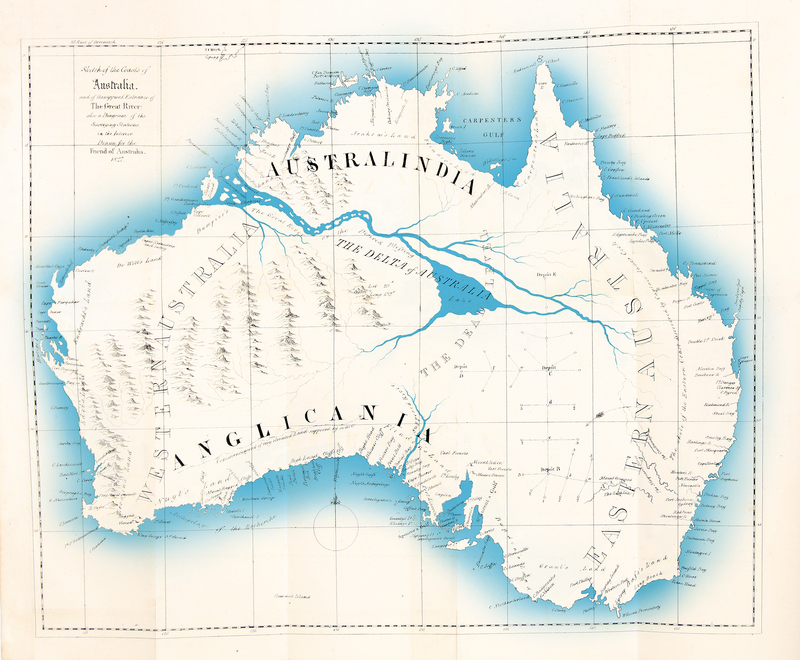 “The plan here offered is a practical scheme,” wrote Thomas Maslen in his book “The Friend of Australia”, “and it will serve equally well as a guide and a book of reference.” He hoped to encourage further exploration of Australia’s interior, and what could be more encouraging than long fertile river valleys at the heart of the continent? Elsewhere, sailing upriver often led to verdant land. Why should Australia be the exception? But in place of his waterways, visitors to the outback will actually find the Simpson desert – the largest area of sand dunes in the world. This was the first printed map of America. Among its many inaccuracies, one in particular stands out. In 1524 Giovanni da Verrazzano, an Italian explorer, claimed to have seen the Pacific from the Atlantic. 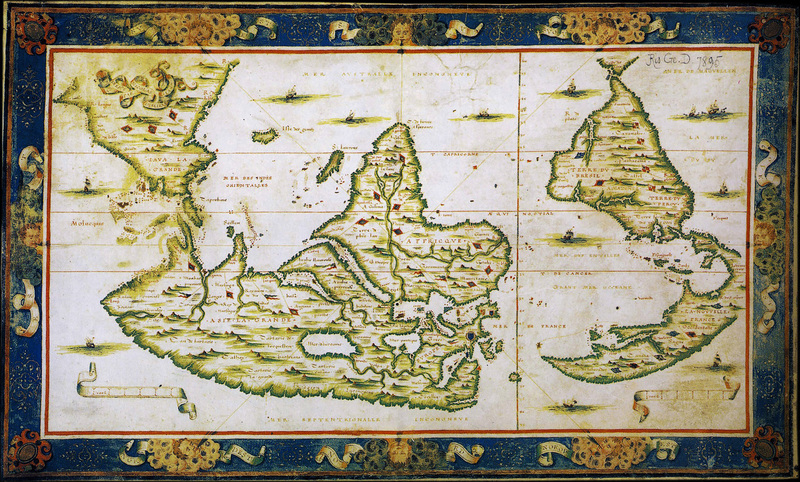 When Münster made this map, he tried to account for this report by separating the two oceans with a narrow strip of land connecting “Francisca” with the rest of North America. 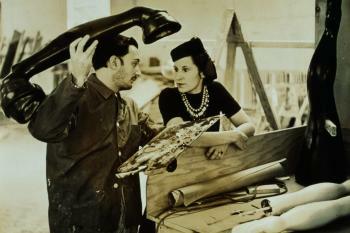 In fact, Giovanni had come across the Outer Banks, a wafer-thin series of barrier islands off the coast of North Carolina. But the idea that the Pacific extended deep into North America stuck. As late as 1750, some French maps showed a vast inlet in Canada, the Sea of the West, that might offer a canny explorer an easy passage from one ocean to the other. 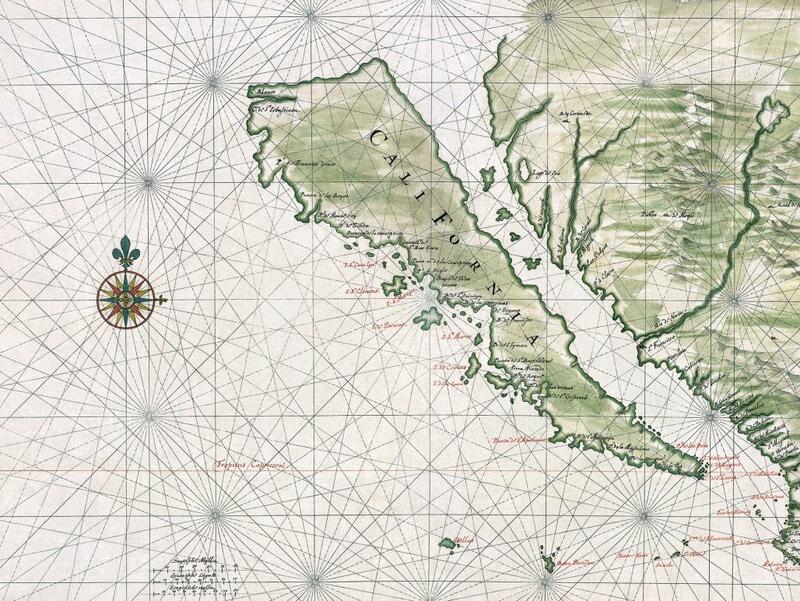 This sumptuous watercolour shows one of the most baffling mistakes in cartography: the idea that California was an island. 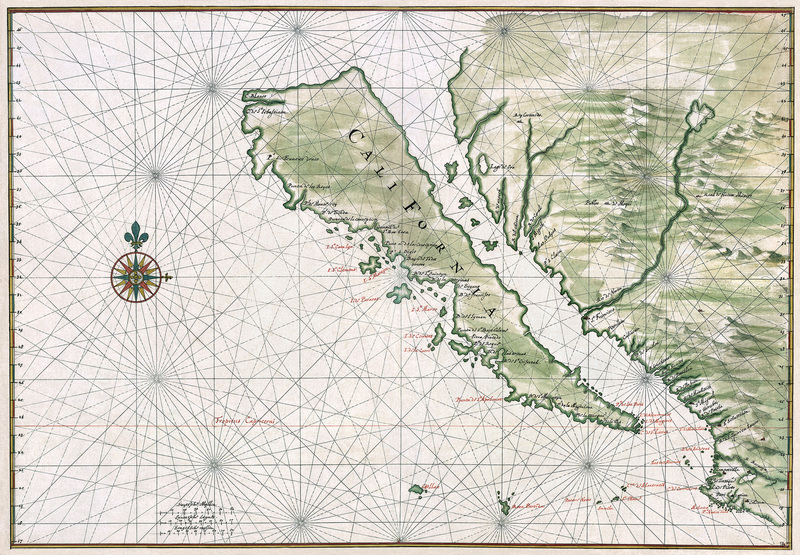 It’s baffling not because it’s wildly implausible – Baja California is, after all, a long peninsula – but because earlier maps had already portrayed California as part of the mainland. 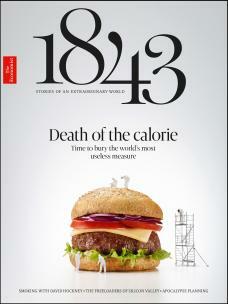 Only after 1622 does the island start appearing. There is disagreement about how this happened. 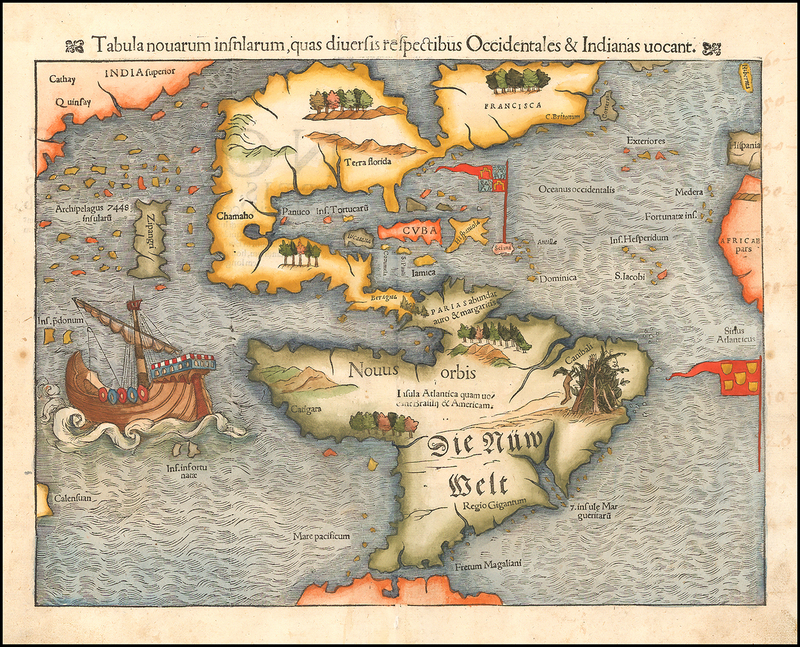 One theory blames a Carmelite friar, Antonio de la Ascención, who wrote about the “island of California” in 1602, a misconception that was depicted here and then reproduced elsewhere. It wasn’t until 1747 that King Ferdinand VI of Spain officially declared that “California is not an island”. In this map of the world turned upside down, the eye is drawn to the mysterious continent in the top-left-hand corner, “Java la Grande”. It was first mentioned by Marco Polo as the larger neighbour of Java Minor (modern-day Sumatra). Since antiquity, geographers had thought there must be a southern landmass sufficiently large to balance the land in the northern hemisphere and keep the Earth stable. Cartographers assumed Polo’s island and this counterweight continent must be one and the same, and drew Java la Grande as big as Africa. The legend of Prester John is one of the most powerful historic myths in European culture. In circulation since at least the time of the crusades in the 12th century, it was understandably appealing: beyond the known world, there lived a fabulously wealthy Christian king who would someday ride to the defence of his co-religionists and defeat their Muslim enemies. The location of his kingdom varied, moving from India to the Mongol Empire to Ethiopia. 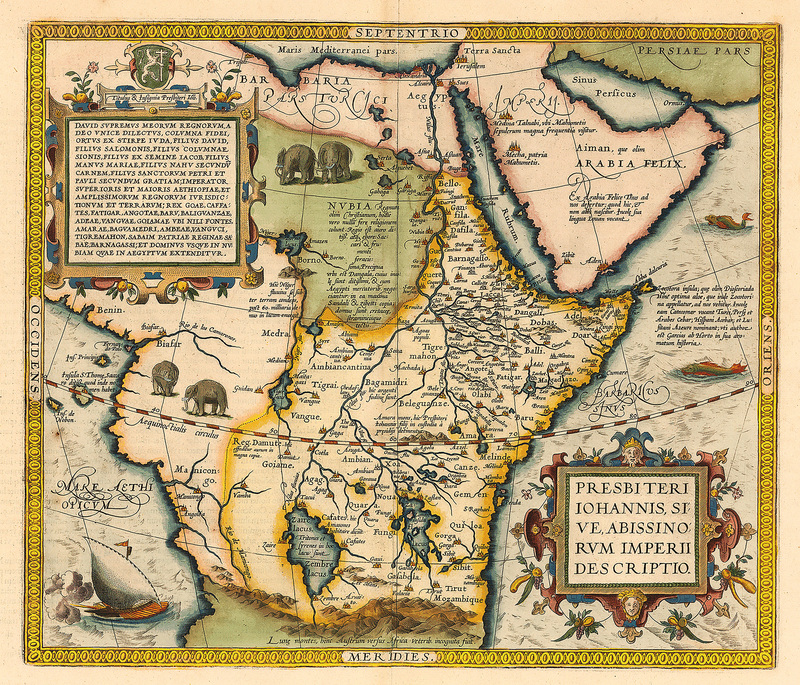 Here Ortelius, a Flemish map-maker, outlines John’s Nile empire in yellow. The upper Nile is portrayed as a rich, urbanised river system. Amazons, tritons and sirens live around Lake Zaire. And at the bottom of the map are the Mountains of the Moon, thought to be the source of the Nile since the age of Herodotus.